I strive to achieve great glowing skin, strong hair and nails, and boundless of energy to keep up with L. But alas now in my 30s and body changing due to pregnancy and pushing out a kid, I know and feel my body is missing and needing something extra. The last time I had taken supplements was whilst pregnant and after, but a few months after Leanora was born I never took them again. Whilst I buy for Leanora the strawberry flavoured vitamin gummies, that I am sure most of us had as kiddos, I never pick any up for myself, most likely as for me I’m always an afterthought and as long as Leanora is good that’s good enough for me. Undoubtedly not a great way to think, L needs me to be strong and healthy and wants me to have a all the good things she has too (which I think maybe wine - NOT FOR HER! JUST ME!) 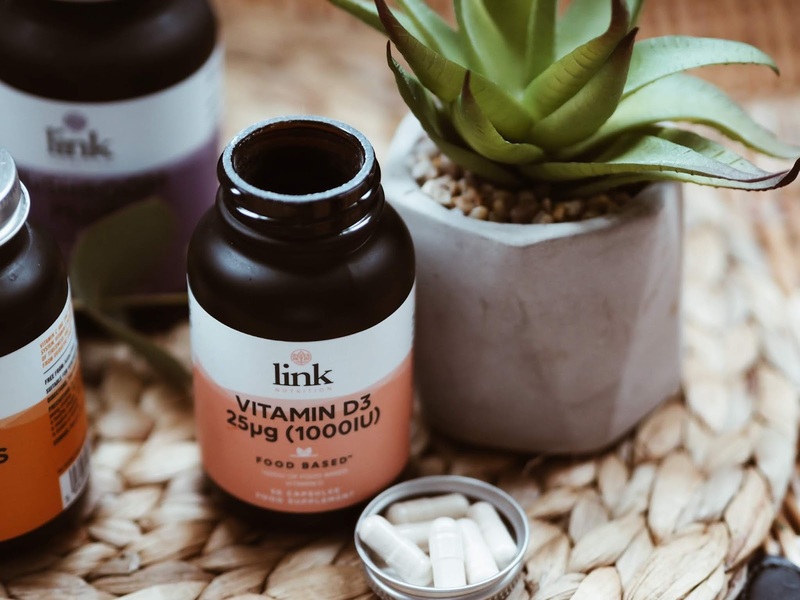 from her vitamins, so when Link Nutrition got in touch it felt right and as the New Year was approaching and wanting to change and have a healthier lifestyle come 2019 it was the right decision. 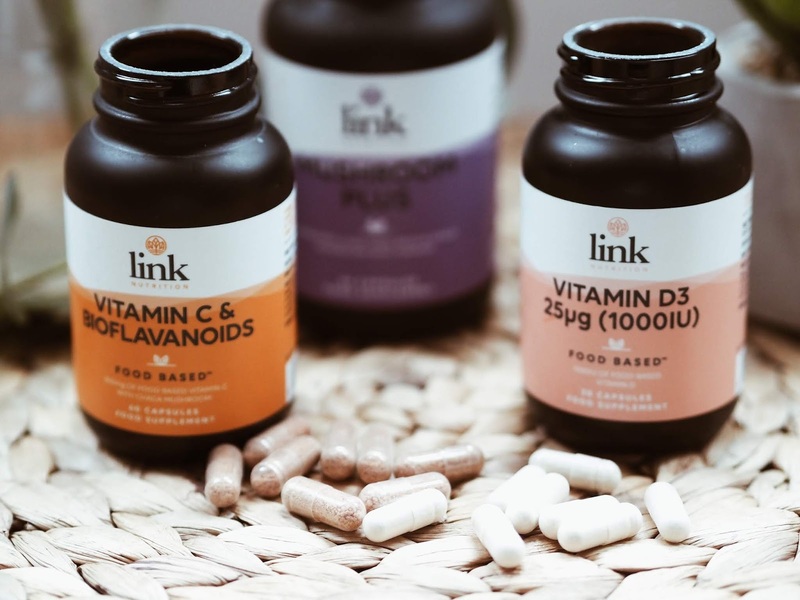 Link Nutrition is a premium high-quality health supplement brand bursting with natural ingredients. They are the missing link between food and supplements, by bridging the nutritional gap a health booster if you will. 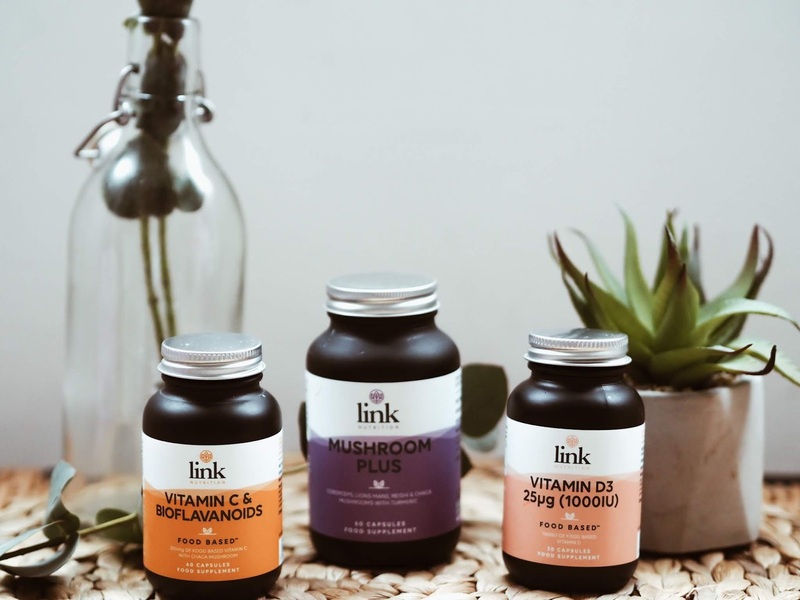 Most food-based supplements are filled with synthetics containing isolated forms of vitamins and minerals, whereas Link Nutrition pride themselves in avoiding the fillers, binders and anticaking agents that feature in most synthetic supplements. 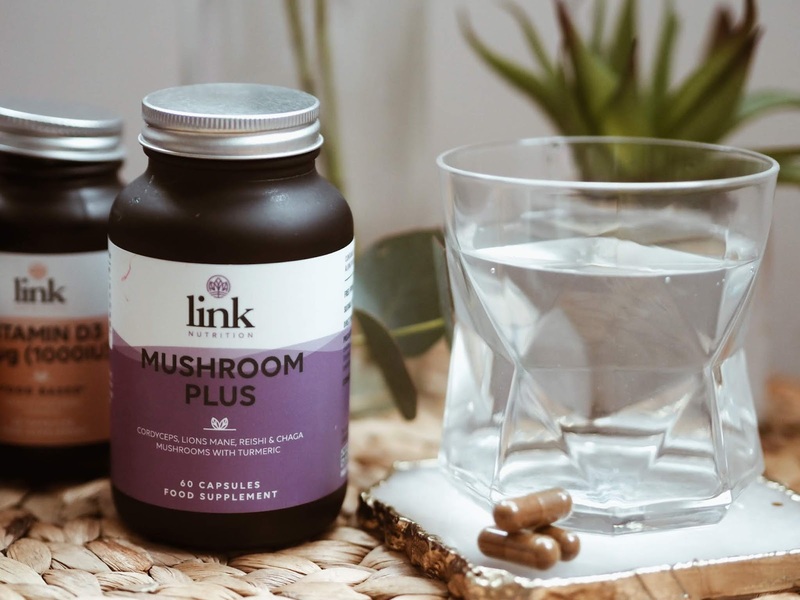 Mushroom plus is the perfect all-rounder, packed with turmeric powder, known for it's anti-inflammatory and antioxidant properties, makes it great for the gut for those that like me can suffer from bloating, this supplement is suitable for vegans and those that also like me are on a gluten-free diet. This is the perfect winter supplement. When in sunlight our bodies naturally create's Vitamin D3, but now we are amassed in mostly darkness are body and bones need a little help and these supplements help keep our bones, teeth and muscles healthy. 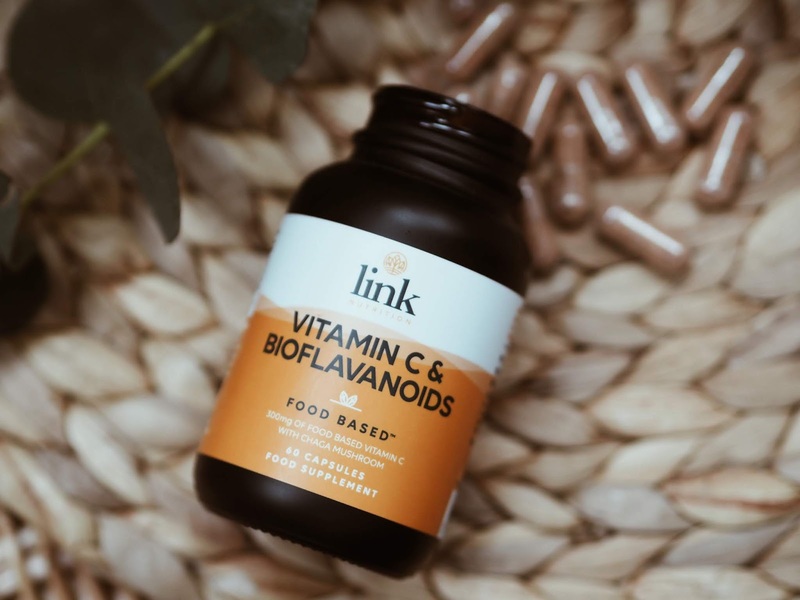 This Vitamin C & Bioflavanoids is essential to have for a healthy lifestyle, it especially helps to combat colds. Vitamin C has been proven to contribute to the normal functioning of the immune system and taken daily, it does just that. Since taking the Link Nutrition tablets, I have felt a lot better inside and out a lot less bloating and even perkier in the morning. The only downside about these supplement tablets is that they can sometimes feel like they are sitting on your chest, so make sure to drink PLENTY of water to help wash it down. it is probably due to the casing sticking! I like to start my day with these and take just after breakfast at work. The containers are quite large so not ideal carrying them around, so I always fill up my Mon-Sunday pill box and pop it in my bag so it is always with me.